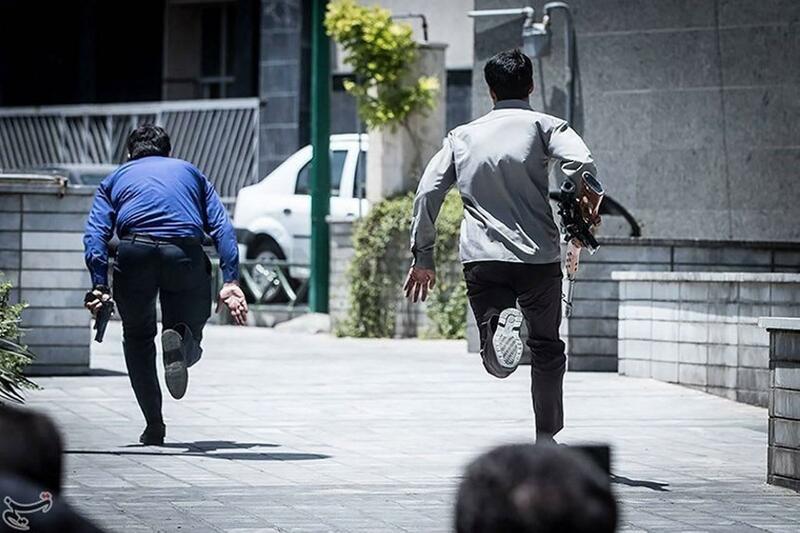 An eye witness’ account of the recent terror attack in Tehran shows the horror which those stranded in the Iranian Parliament went through for hours. We were trapped for five hours in a room behind a door from which footsteps were heard every now and then, and which was sprayed with bullets by the ISIS terrorists walking by. Our office is across from Mr. Tajgardoon’s on the fourth floor. Ms. Mo’tamedi, who was with us in the room, is Mr. Tajgardoon’s chief of staff. 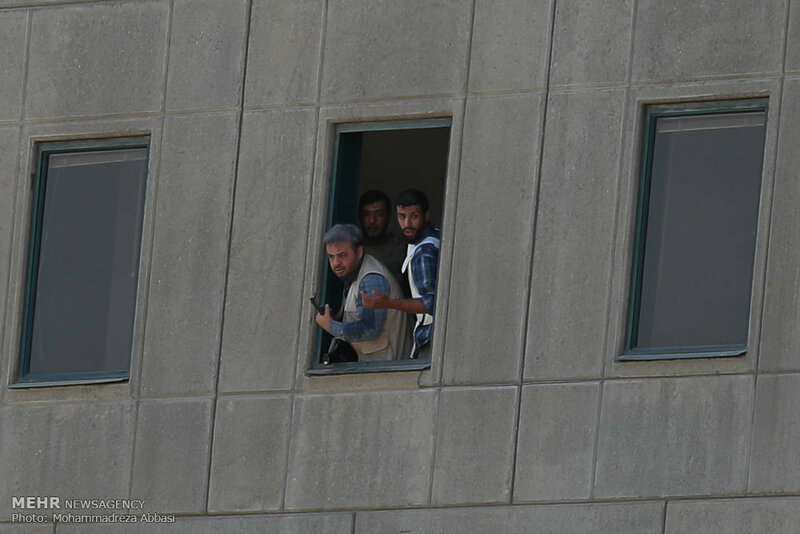 As soon as sentries were martyred in the shootout on the first floor and before terrorists made their way to the fourth storey, the security guards told us that they had a security situation. They told us to go inside rooms and lock the doors. We did so, but we wouldn’t have thought that it might be a terrorist incident. We thought someone with a personal grudge against an MP or an official had come to take revenge. There were eight of us in the office. We remained trapped in the room from around 10 am to 3 pm. We could hear the gunfire. Terrorists would kick at the doors and sprayed them with bullets to break them open. Our room was at the end of the corridor and overlooked the Management Organization and the place where people and security forces had ambushed. It was the best place for taking shelter. So, they kept trying to enter the room. I cannot describe those moments. We could even hear their footsteps. They wouldn’t talk. Sometimes they would say a few words. We couldn’t tell if they were speaking in Farsi or Arabic. I saw a thick book on the bookshelf. I grabbed it and wrote “There are eight of us trapped inside the room; one is a pregnant lady” on it. I then wrote my phone number and threw the book to security forces. From then on, they were in contact with me via text messages. We had lost all hope and were waiting for a miracle to get out of the room safe. Ms. Mo’tamedi, who was pregnant, was so impatient. She was worried about her child who was at school. She wanted to jump out of the window several times, but we talked her out of it. We were mostly worried about her. She passed out a few times and had her blood pressure drop. That was the reason why we asked Mr. Tajgardoon to allow us to get her out with the fire escape ladder, but security forces convened a meeting and told us it was not the right thing to do. She was feeling very bad, indeed. Now she is in hospital due to her mental condition. Security forces were right under the window of our room behind the fences. Police snipers had ambushed at the building of the Parliament’s secretariat right across from our window. We were afraid lest they might shoot us instead of the terrorists. I saw a thick book on the bookshelf. I grabbed it and wrote “There are eight of us trapped inside the room; one is a pregnant lady” on it. I then wrote my phone number under that sentence and threw the book to them from the window. From then on, they were in contact with me via text messages. When we stepped out of the room we couldn’t believe what we were seeing. We hadn’t experienced anything like that before. We had always lived in full security in the county. As security forces approached upper floors, more gunfire was heard. There was a possibility that terrorists had planted explosives on the first floor and wanted to blow up the building. We heard an explosion, which scared us more. The false ceiling caved in, the pipes burst and there was water all over the floor. Security forces told us through a text message that they had reached the third floor and that they were engaged in a gun battle with terrorists between the third and fourth floors. Security forces said we needn’t worry because the terrorists were engaged in a gun fight with them and would leave us alone. We became hopeful. It was almost 3 pm when we opened the door after hearing the codename that security forces had told us before. We opened the door only to see the bloody body of one of the terrorists lying on the floor right in front of us. First, we didn’t know how many terrorists were there and what was going on. It was only after we saw the news on the Tehran terrorist attacks on Telegram and websites when we realized what had happened. There was a piece of news on the number of the terrorists. When we stepped out of the room we couldn’t believe what we were seeing. We hadn’t experienced anything like that before. We had always lived in full security in the county. We thank all security forces, who are the guarantors of our security.